PODS made its’ home on Anglesey, North Wales back in 2001 after Peter and Delia Roberts moved to Bryngwran from Northamptonshire. 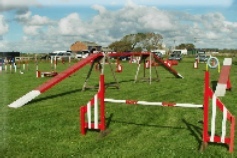 PODS (Practical Obedience and Dog Sports) provides facilities, training and competition for dogs and their handlers in Flyball and Agility against the backdrop of the Snowdonia Mountain Range. In addition, Peter and Delia offer a wealth of experience and knowledge in practical obedience for owners and their dogs. 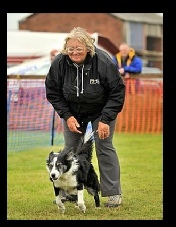 PODS has a long established Flyball Team on Anglesey attending shows throughout the year. 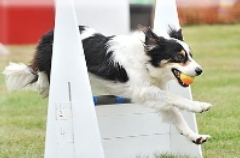 In addition we have a number of Agility handlers who compete in Agility competitions across the country all year round. 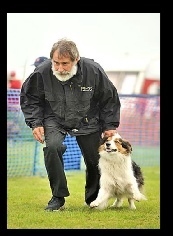 PODS also host their own independent Agility/Training Shows encouraging and providing opportunities for new handlers who have yet to experience competition environments to train with their dogs. PODS is not just about competing, we encourage you to have fun with your dog and welcome handlers of all ages to our training sessions.